Enjoy a relaxing retreat in our newly built handcrafted log cabin. 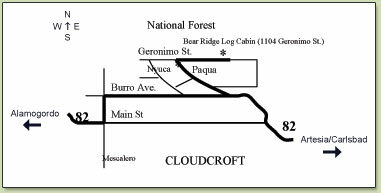 Step out the back door into the National Forest to enjoy hiking, biking, or snowshoeing; or go for a short walk (½ mile) out the front door to Burro Street for a little shopping or a bite to eat. The perfect place for a romantic weekend, a get-away with friends, or a fun-filled family vacation. 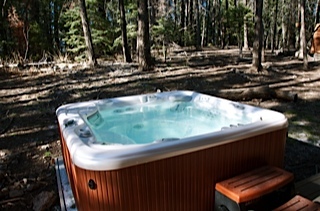 Enjoy the view of the woods from our brand new hot tub. Book six nights, get one additional night free!